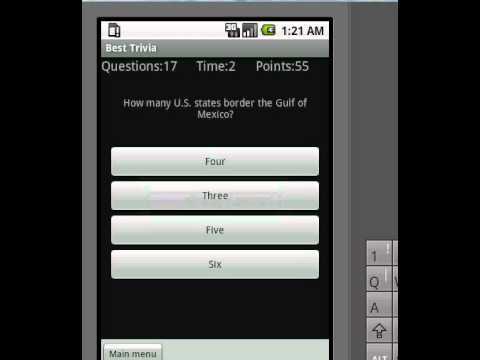 Trivia is an application that allow users to test their general knowledge about different domain of activities like Geography, Astronomy, Music, Movies, Literature, Science, Sports and many others. Users can suggest questions that will be added in game after approval operation. Play a game of trivia and get in touch with new questions.